This post is part four of a series of posts introducing the Redis-ML module. The first article in the series can be found here. In this post, we’re going to look at the matrix operations provided by the Redis-ML module and show some examples of how to process Matrix data using the Redis database. The example code in this post is written in Python and requires a Redis instance running Redis-ML. The instructions for setting up Redis can be found in either part one or part two of this series. Matrices are common in machine learning, statistics, finance and a host of other domains, so they were a natural addition to Redis. The Redis-ML module adds matrices as a native Redis data type. It also provides mathematical operations that combine matrices to create new values. When working with the Redis-ML module, remember that commands userow-major format. 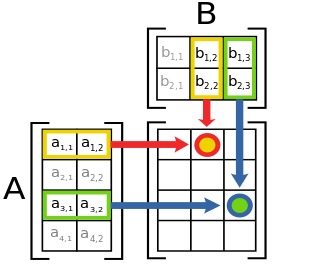 Multiplication and addition are supported by the ML.MATRIX.MULTIPLY and the ML.MATRIX.ADD commands. These commands combine two matrices that are already in Redis and store the result in a new key. Redis returns the result to our client with the shape of the matrix (in this case 3 rows and 1 column) followed by each of the elements of the matrix in row-major order. Matrices are used for a wide range of applications, from linear transforms to representing multivariate probability distributions. In the next post, we’ll look at decision trees and random forests, two additional classification models supported by Redis. Please connect with me on twitter (@tague) if you have questions regarding this or previous posts in the series.